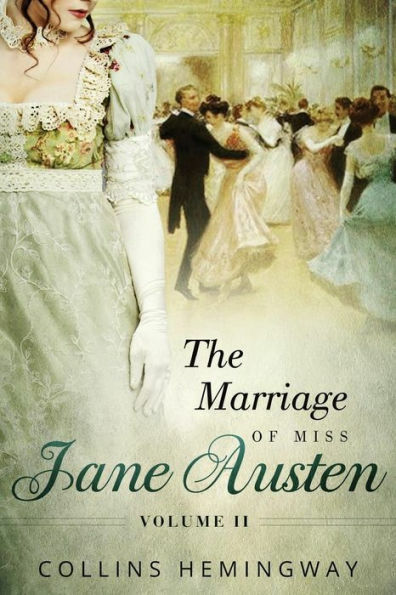 The Marriage of Miss Jane Austen Vol. II by Collins Hemingway Blog Tour with Personal Reviews! Jane Austen Lived a Quiet, Single Life-Or Did She? Tradition holds that Jane Austen lived a proper, contemplative, unmarried life. But what if she wed a man as passionate and intelligent as she-and the marriage remained secret for 200 years? The Marriage of Miss Jane Austen resolves the biggest mystery of Austen's life-the "lost years" of her twenties-of which historians know virtually nothing. • Why the enduring rumors of a lost love or tragic affair? • Why, afterward, did the vivacious Austen prematurely put on "the cap of middle age" and close off any thoughts of finding love? • Why, after her death, did her beloved sister destroy her letters and journals? The Marriage of Miss Jane Austen trilogy answers these questions through a riveting love affair based on the history of the times and the details of Austen's own life. Just mention the name Jane Austen and I go nuts. I am a literature freak and Austen is without a doubt my favorite author. If you haven't heard of JAFF (Jane Austen Fan Fiction), then you have to check that out as well - thousands of adaptations, spin offs and more of all her works. This series of course is not quite the same thing - this is a historical fiction series that tells us the fictional story of Jane Austen's life and marriage. Of course any Austenite knows that Jane never married in real life - she was engaged for one night - but then called it off. But ahhhh wait - this book also considers that as well! For Ashton's hopes of marrying Jane in round 1 are dashed and so he runs off. But of course this is a book about a marriage, so we are left to figure out whether he will come back and marry Jane or whether she will end up with someone else. So it's definitely fiction, but I absolutely loved Ashton Dennis, he was young, fun and most of all, handsome :) Perfect for Jane. But when he was first introduced to us as readers, I wasn't quite sure that he would be THE one - he stuttered when embarrassed, and Jane did not seem to think well of him at all. You know with the name of the book that she would marry, but in the meantime she does find herself in a lot of awkward and completely inappropriate situations that would not have been done in those days, and even though we suspect it's Ashton, we don't know that for certain. A lot of the first book reminded me of things from Pride and Prejudice. For example, the relationship that Jane and her sister Cassandra share - it's SO comparable to Lizzie and Jane Bennet's relationship in the P&P book. Then of course a woman of 26 is considered a spinster - that reminded me of Emma in a lot of ways. But the situation that Jane finds herself in involves a hot air balloon and it takes off with the story of Lydia Bennet, although it ends MUCH better than that story. But I loved that I could feel the Austenesque qualities throughout the book, and that Jane was portrayed as a strong character, especially for a woman in those times, and she does not care that she is 26 years old and pffts at her mother for even considering her a "spinster". That is laughable, and Jane finds it so as well. I know a lot about Jane's life, but there is a lot we don't know, and it's interesting to try to imagine her in these situations. And of course the writing comes into play quite a bit in the series - Jane is always going off on her own to write - but the only thing I would have liked a little more of is maybe showing her writing specific books and how she may have used her own life to write them. I loved both of these books, I think they are great - and if you are a lover of historical fiction and Austen, they are a must read! They may be just fiction, but the historical setting, the society and all of those things are just as they would have been while Jane was alive. Whether his subject is literature, history, or science, Collins Hemingway has a passion for the art of creative investigation. For him, the most compelling fiction deeply explores the heart and soul of its characters, while also engaging them in the complex and often dangerous world in which they have a stake. He wants to explore all that goes into people's lives and everything that makes tThe hem complete though fallible human beings. His fiction is shaped by the language of the heart and an abiding regard for courage in the face of adversity. As a nonfiction book author, Hemingway has worked alongside some of the world's thought leaders on topics as diverse as corporate culture and ethics; the Internet and mobile technology; the ins and outs of the retail trade; and the cognitive potential of the brain. 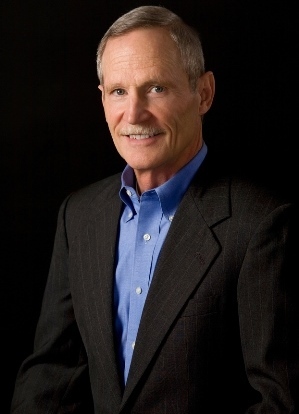 Best known for the #1 best-selling book on business and technology, Business @ the Speed of Thought, which he coauthored with Bill Gates, he has earned a reputation for tackling challenging subjects with clarity and insight, writing for the nontechnical but intelligent reader. Hemingway has published shorter nonfiction on topics including computer technology, medicine, and aviation, and he has written award-winning journalism. Published books include The Marriage of Miss Jane Austen trilogy, Business @ the Speed of Thought, with Bill Gates, Built for Growth, with Arthur Rubinfeld, What Happy Companies Know, with Dan Baker and Cathy Greenberg, Maximum Brainpower, with Shlomo Breznitz, and The Fifth Wave, with Robert Marcus. Hemingway lives in Bend, Oregon, with his wife, Wendy. Together they have three adult sons and three granddaughters. He supports the Oregon Community Foundation and other civic organizations engaged in conservation and social services in Central Oregon. For more information please visit Collins Hemingway's website and blog. You can also find him on Facebook, Twitter, Pinterest, Instagram, and Goodreads.